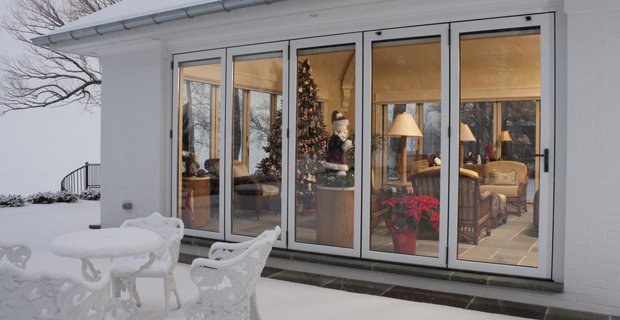 Engineering energy efficient operable glass door panels is a hallmark of NanaWall design. 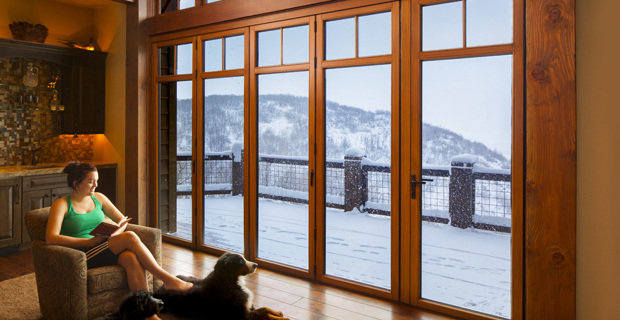 When the panels are closed, the unequalled thermal break design keeps the cold air on the outside while maintaining comfort inside—even right up against the glass and frames. 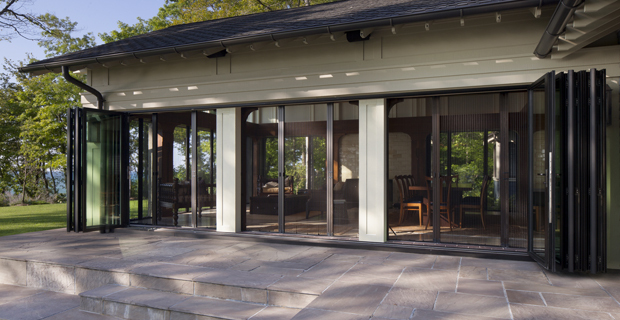 Proving this point, NanaWall Systems is the first folding door company to meet the extremely difficult to pass Passive House Standards. 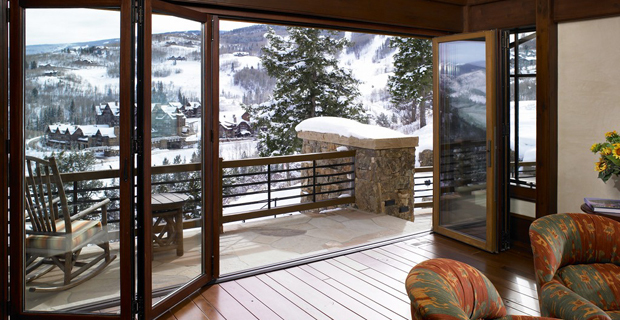 Lifestyle arts and green building are on display in VAg’s recent house in Bachelor Gulch, a stone-and-wood composition which features plank flooring, a memorable slab fireplace surround and wide open space. 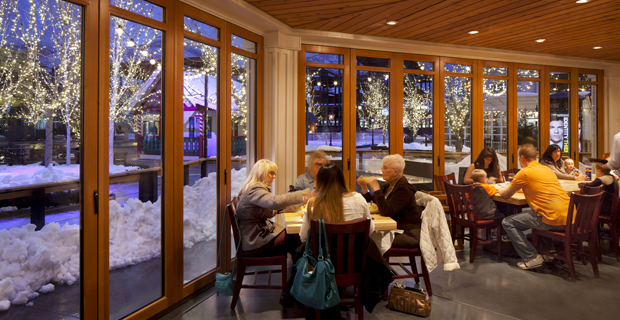 The four-season open-air porch was designed to maximize views of the lake, yet the tightly sealed operable glass walls keep the interior warm and draft-free in the winter. In the summer, NanaScreen protects against mosquitoes and moths. 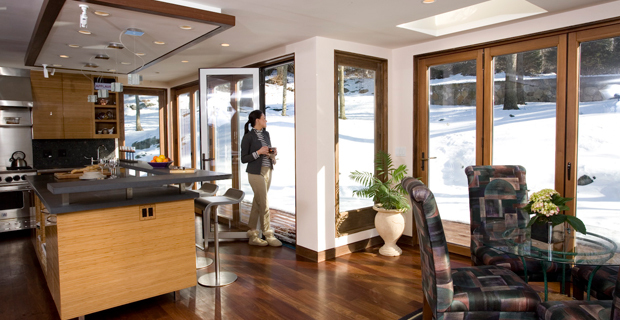 The WA67 is highly suitable where higher levels of resistance to air and water infiltration are desired, so it is ideal for a cozy yet spacious mountain house in this cold-weather resort town. 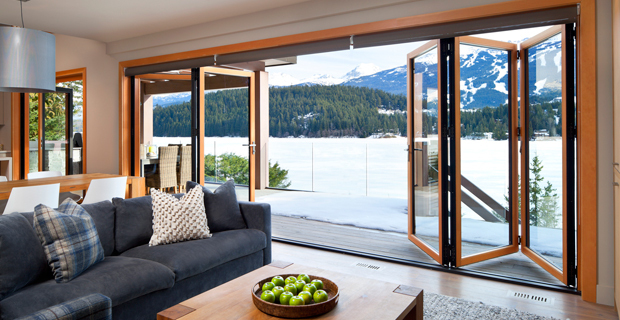 To highlight the mountain views at this Whistler BC location, a NanaWall Wood Framed Aluminum Clad WA67 was specified in six panels with a pair of swing panels at the center to function similarly to French doors when the system is closed.